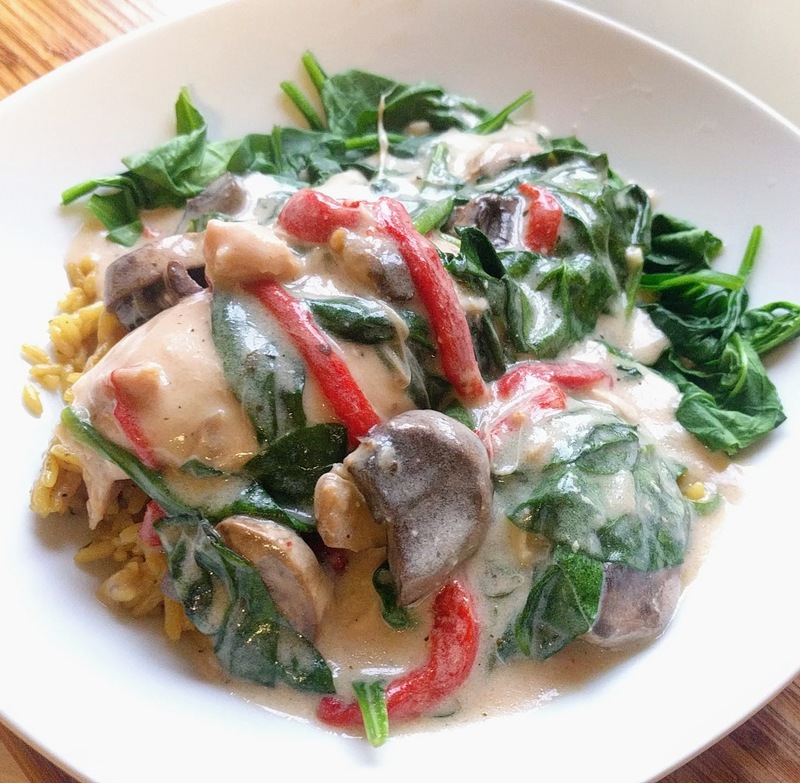 I'd planned on making Pillsbury's "Slow-Cooker Creamy Tuscan Chicken" for Sunday dinner, but failed to notice I didn't have any sun-dried tomatoes left until it was too late. And by "too late" I mean it was Sunday morning and I was not getting out of my comfiest jim-jams to go to the store for anything. Rummaging around, I saw I had roasted peppers and mushrooms ... so I made this modified version, which was garlicky and good. Yes, the original recipe calls for boneless chicken breasts and I clearly used boneless thighs. I was always going to use thighs. Thighs are dark meat and, therefore, more flavorful and "chicken-y." Also, unlike breasts, thighs don't go all dry and mealy in the slow cooker. 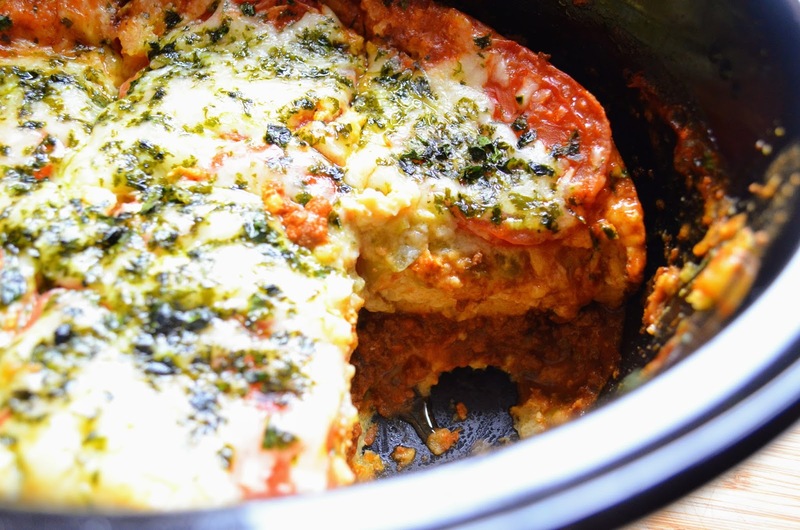 Layer chicken, mushrooms, and roasted pepper strips in the slow cooker insert. Sprinkle with seasoning and garlic flakes. Cover; cook on low for 5 hours or until chicken is 165°F. Whisk together cornstarch and cold water until cornstarch is completely dissolved. 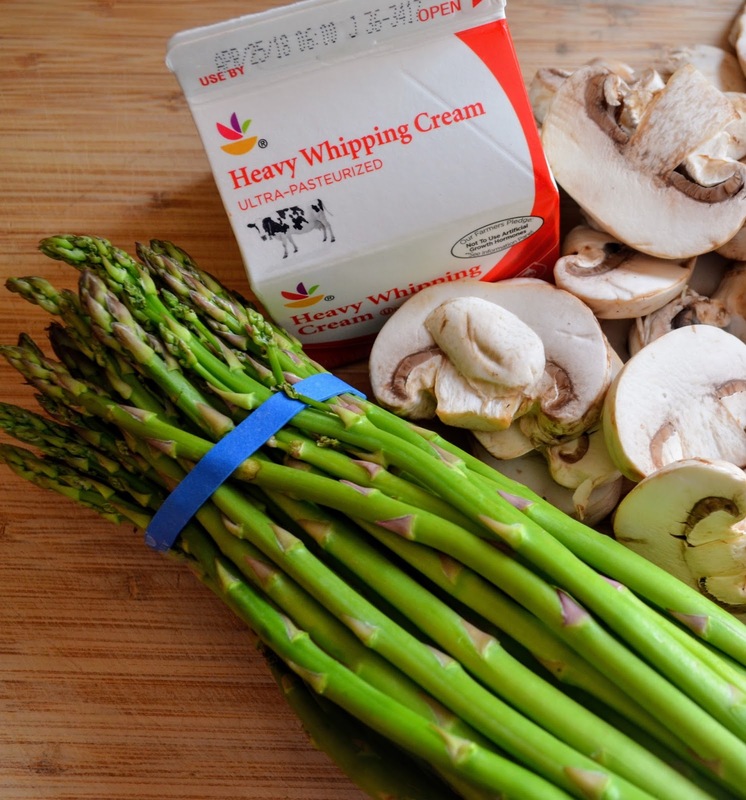 Stir slurry into slow cooker. Add spinach and continue to cook on low for 20 minutes or until sauce is thickened and spinach is limp. Serve over pasta, rice, or more spinach. I left the thighs whole when I made this, but I think it would be easier to serve if I had cut them into chunks to begin with. 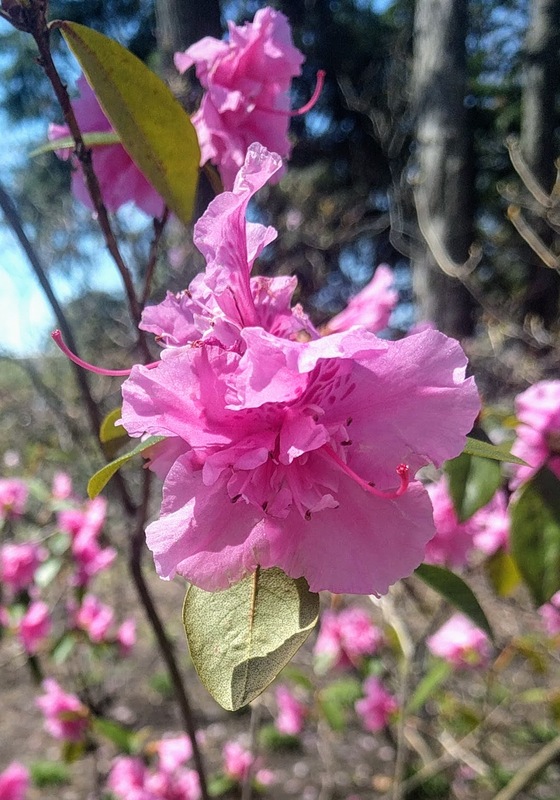 An early pop of pink in the Azalea Garden at the New York Botanical Garden. 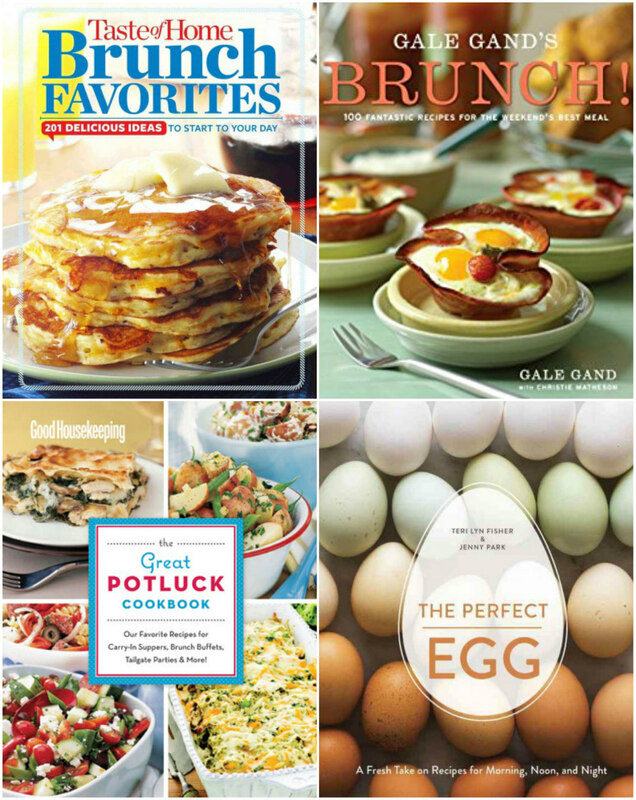 April's library cookbook theme was brinner (breakfast for dinner). 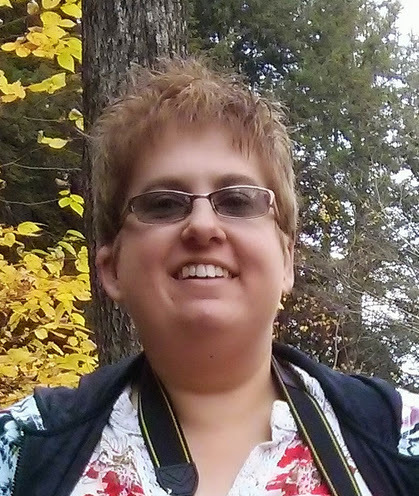 I thought this was a fun, quirky topic that would appeal to many different kinds of cooks. Apparently, I misjudged, because only seven cooks registered for the meeting ... of which, five turned up. I'm a little frustrated by the low turnout, because -- while there certainly seems to be a lot of interest in the club -- it is nearing its one year anniversary with attendance numbers lower than when it launched. "Amish Breakfast Casserole" from Taste of Home's Brunch Favorites: 201 Delicious Ideas to Start Your Day. So much cheesy potato goodness. Hearty, but not heavy. Very morish. "Baked Cinnamon-Apple French Toast" from Gale Gand's Brunch! 100 Fantastic Recipes for the Weekend's Best Meal. Crunchy on the edges, moist and custardy in the middle, and so wonderfully redolent of cinnamon and apples. The honey butter topping sounded like too much, but paired wonderfully. Just thinking about this dish makes my mouth water. "Breakfast Scramble" also from Taste of Home's Brunch Favorites: 201 Delicious Ideas to Start Your Day. The cook who made this used canned potatoes (to save herself 20 minutes), but there's no way we'd have been able to tell if she hadn't mentioned it. A nice, meaty hash. "Syrupy Banana-Nut Overnight French Toast" from Good Housekeeping The Great Potluck Cookbook: Our Favorite Recipes for Carry-In Suppers, Brunch Buffets, Tailgate Parties & More. Creamy, custardy french toast a top a layer of gooey caramelized banana goodness. Very reminiscent of bananas foster and totally yum. "Three-Meat Quiche" from The Perfect Egg: A Fresh Take on Recipes for Morning, Noon, and Night by Teri Lyn Fisher & Jenny Park. A fluffy, creamy, cheesy quiche filled with smoked ham, bacon, and sausage. We ate it closer to room temperature than warm and it was still delish -- and the crust was still crisp! Everyone enjoyed talking about the cookbooks they'd used and the recipes they'd made. We were all very complimentary about each others' dishes and seconds (quite possibly thirds) were taken. I'm pretty sure everyone left with the intent of making their own dish of "Baked Cinnamon-Apple French Toast" as soon as possible. And what did I make? 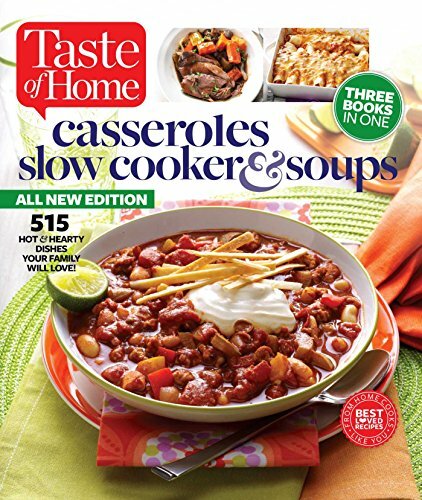 I made "Chili and Cheese Crustless Quiche" from Taste of Home's Casseroles, Slow Cooker & Soups: 515 Hot & Hearty Dishes Your Family Will Love. As this was a quick-cooking slow cooker dish, I assembled and cooked it at the library before the club met. I'd fully intended to try the recipe at home over the weekend -- to make sure it worked -- but didn't have the time. Happily, cooking the quiche at work turned out fine and everyone seemed to enjoy it. Some of the cooks that come to cookbook club aren't keen on very spicy foods, so I only used two cans of chiles rather than the three called for. Both cans were diced, as well, as I couldn't find whole canned chiles that weren't pickled. I didn't know what brand of chili con carne was best, so just went with Hormel's turkey chili without beans as it had fewer calories and less fat that other chilis on the shelf at the grocery store. The finished quiche did have a little kick, but the cheese and egg helped balance that. Overall, I feel it's something I'd make for myself. This is not the first time I used Taste of Home's Casseroles, Slow Cooker & Soups for cookbook club -- I made the "Slow-Cooked Shepherd's Pie" back in February, when the theme was "Pies: Sweet & Savory." I've also made a few recipes from this cookbook just for myself -- the "Mexican Beef Stuffed Peppers" and "Chicken Merlot With Mushrooms" -- with good results. This is not the most exciting, cutting-edge cookbook out there, but its recipes are reliable and family-friendly (and almost always accompanied by very attractive photographs). 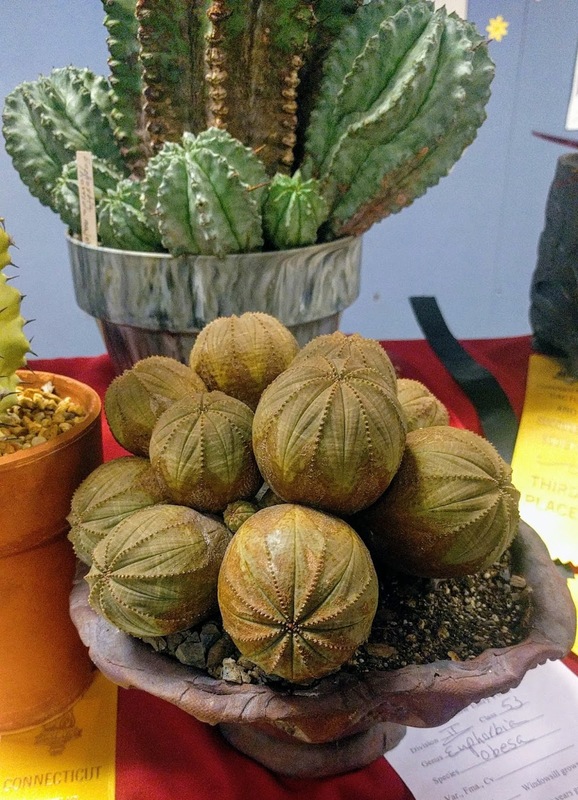 Connecticut Cactus & Succulent Society's annual show. The chipmunks have been rearranging my spring bulbs, again. 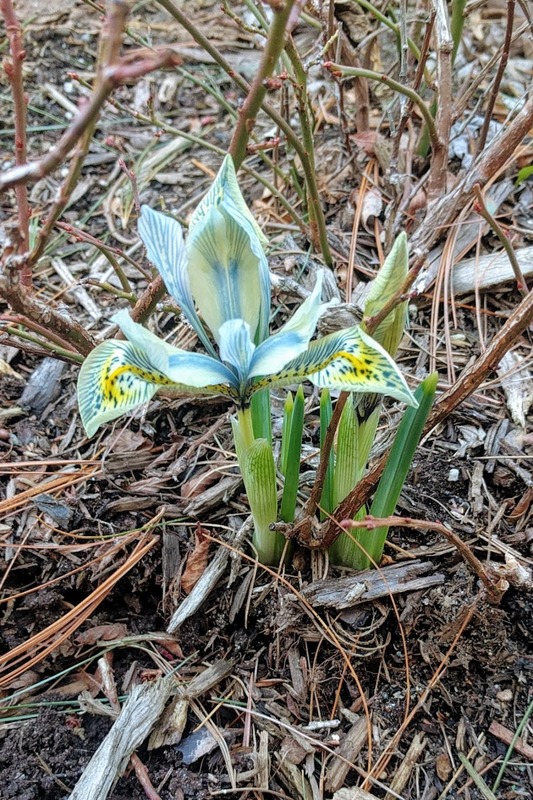 This stray dwarf iris, 'Katharine Hodgkin,' has popped up under a blueberry bush. 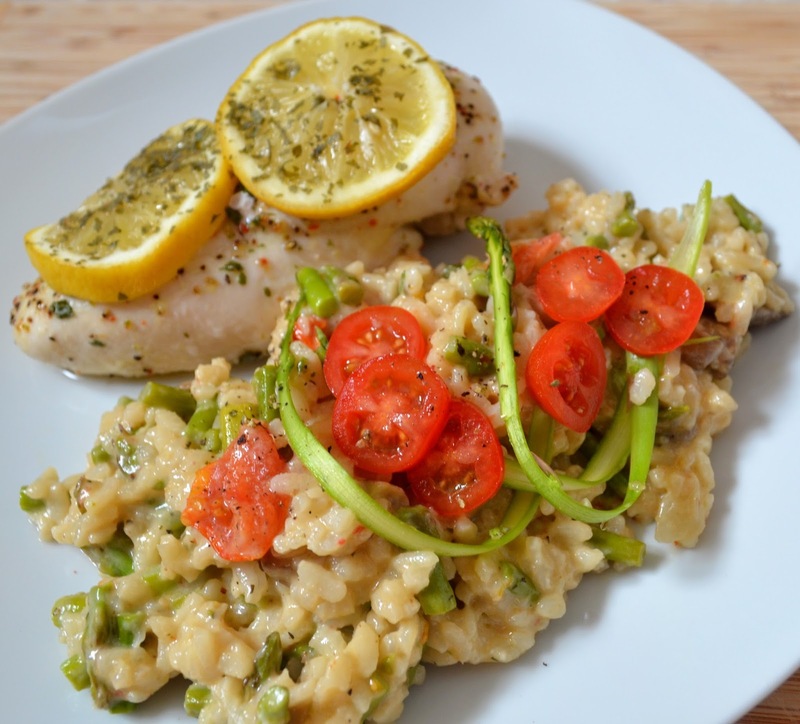 This is an fast and easy dish, perfect for when you've been too busy reading to think about supper, then lost track of time, and now its very late, and you are absolutely famished. I used tilapia, because tilapia is what I had in the freezer, but any mild, white fish fillets will do. While I usually thaw frozen fish overnight in the refrigerator, I obviously needed thawed fish pretty immediately so I used the Food52 quick thaw method which worked very well. Combine tomatoes, parsley, olive oil, and vinegar in a small bowl. Season with pepper to taste. Set aside until needed. Line a half sheet pan with baking parchment. Pat fillets dry with a paper towel. Place fillets on the parchment-lined sheet pan and brush with pesto. Bake at 400°F for 15 minutes or until tilapia is 145°F and flakes easily with a fork. 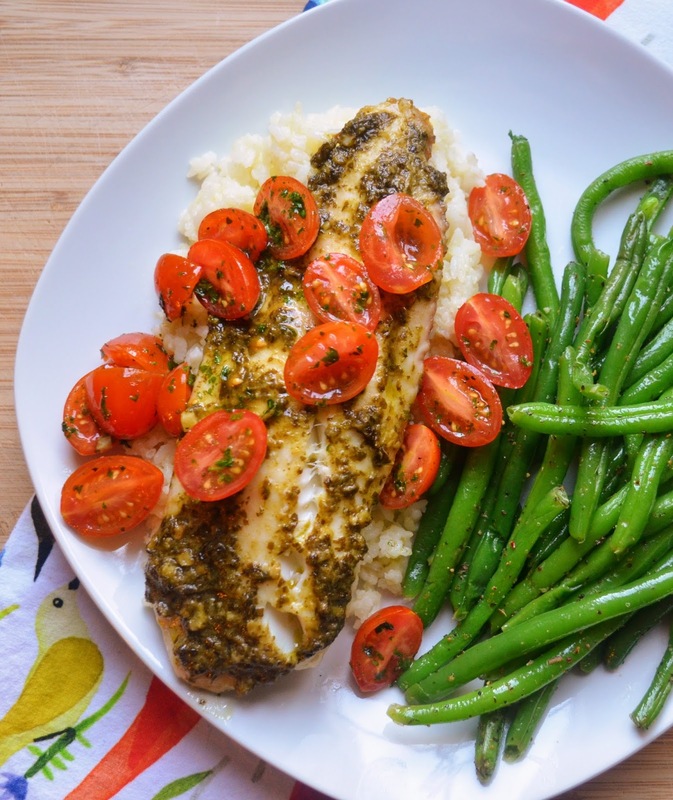 Serve tilapia topped with the tomato mixture. 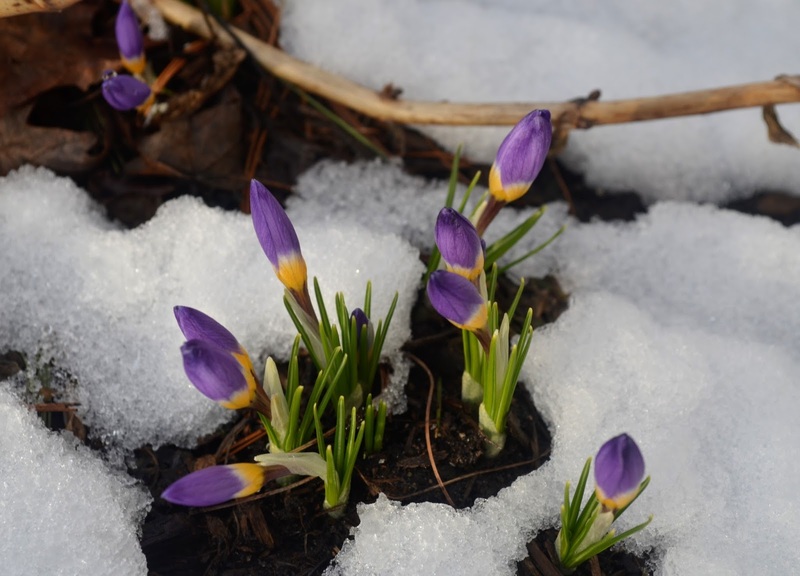 Purple crocuses undaunted by a little April snow.